2: Writes with standard Dry-Erase marker and dry-wipe. 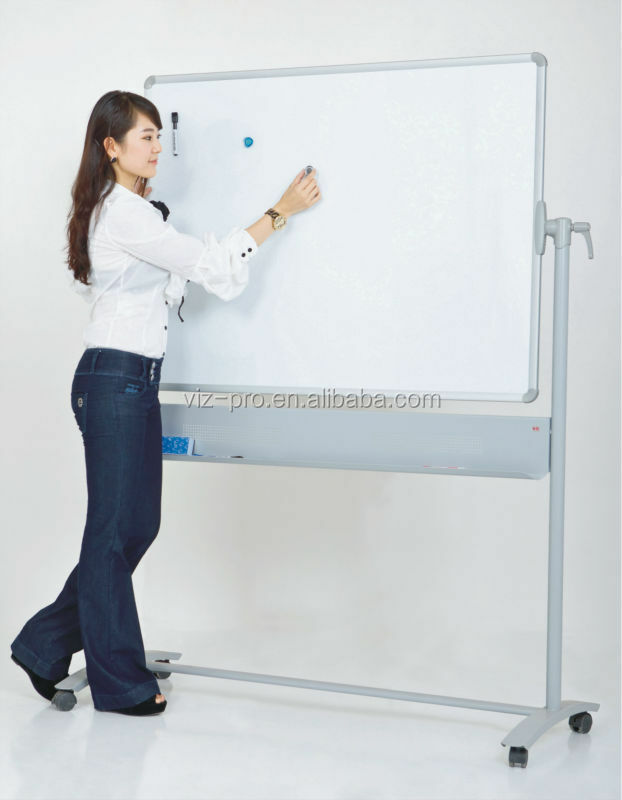 3: High quality melamine, lacquer, enamel coated surface provides best writing performance. 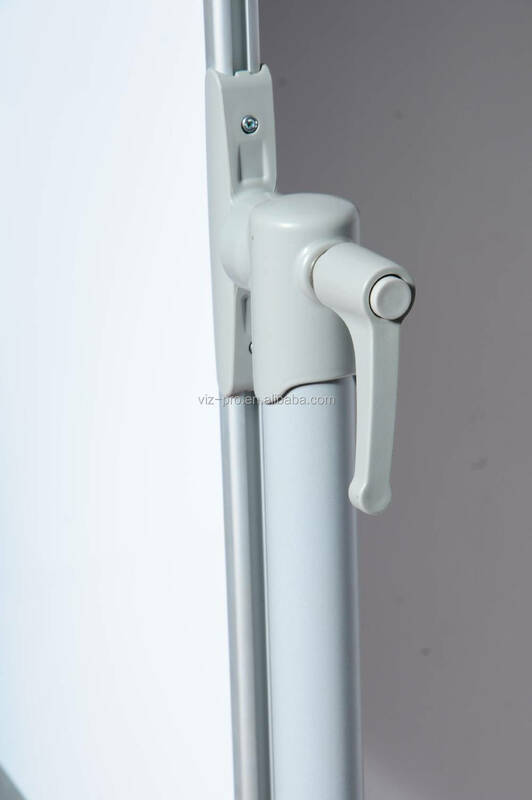 4: Sturdy and light weight frame with mobile roller stand for easy indoor and outdoor uses. 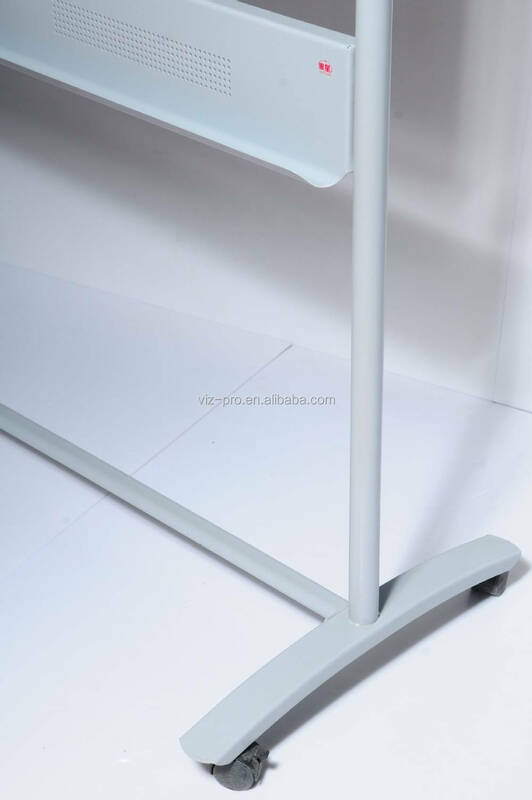 5: Sleek design pen tray made for your convenience.